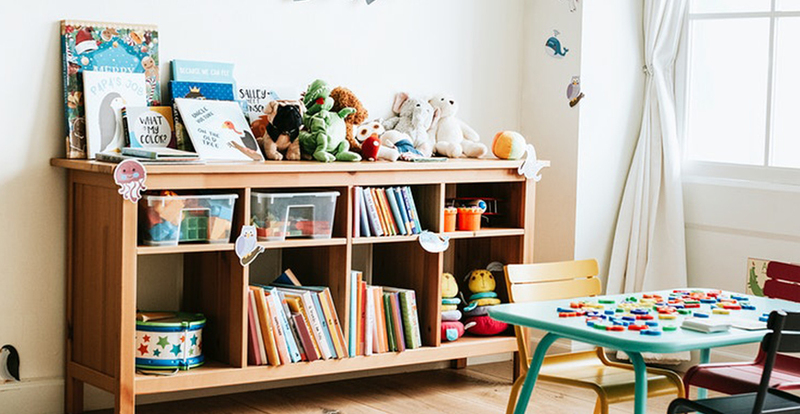 It’s time – the prefect opportunity to clean, cull and declutter my kids space. This is long overdue but something I think super important to get into before the school year begins. So we set aside a whole day to do their toy room and set aside a day for each child’s bedroom before school starts. As someone who does not declutter regularly this was a challenge! But boy was it worth it! The first thing I did was to invest in some storage. A trip to Ikea to get a new bookshelf was the first thing on the list. My grandmother used to say that we needed a place for everything with everything in it’s place. I did not have enough space for our books and so things were always a mess with books everywhere. Encouraging my kids to become avid readers is high on my value list so wanting to display our beautiful books with easy access and have a cosy space for reading is of high priority. We started with all our books, DVD’s and audiobooks and decided if we hadn’t read it, watched it, played with it in the past 6 months it was time to donate it. I did this process WITH my children so that they understand that letting things go and clearing space is an important part of the play cycle. The next thing we did was their bedrooms. Taking time to go through each drawer and prepare the space for a new school year is such an important thing to do to prepare you child mentally for the new energy and growth of a new cycle. The thing that is hardest to part with is the mountains of work and drawings. For me there are just too many to keep so anything super special I photograph and get rid of. This way I always have the memory of the artwork but don’t need it to take up actual physical space. Make the decision that from this point forward you start giving your kids experiences before stuff. Most of our kids have far too much stuff. Toy rooms filled with things that are only going to end up in landfill and things they hardly ever pay with. The biggest gifts we can actually give our kids is the gift of time. Taking time to be truly present. To not hurry or rush. To listen to their stories and thoughts. For physical touch. For having fun. Choose experiences that you can have TOGETHER and this will fill their memory bank more than any toy. Make the pledge right here and right now to buy your kids less stuff. As we clear our external space we also clear our internal mind and this is also true for our kids too so take time with your kids if possible to invest some energy into the beautiful gift of cleaning up. You may also be surprised how bonding this experience can be – doing this together and the conversations that arise while you are taking the time to declutter. Some beautiful memories and conversations can arise while you are letting things go.